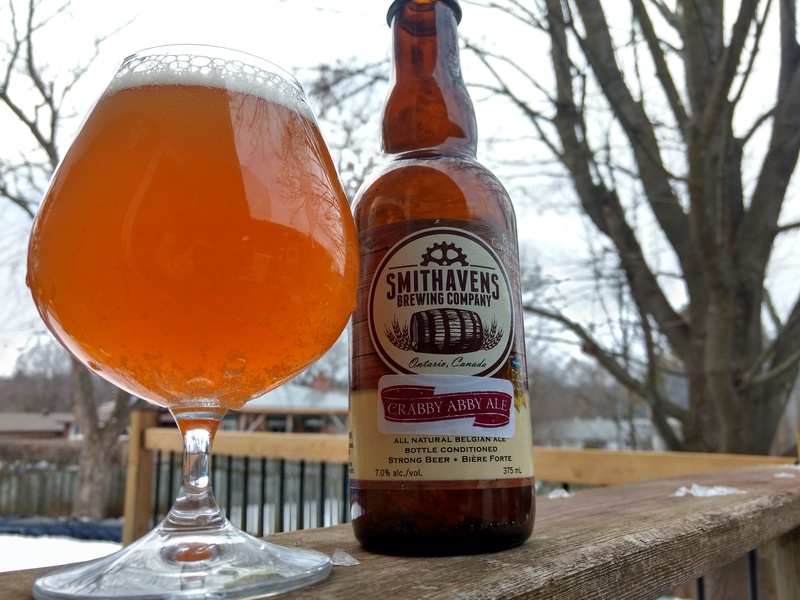 Kettle Sour, Smithworks Brewing Co.
s is their Blonde Ale that has been kettle soured. Out of the bottle pours a unfiltered, orange colour with none-to-little white head that didn’t even stay around. The aroma is subtle tartness, but that’s about it. With that first sip, you get that subtle tartness, not overwhelming though. It’s a bit dry, but it’s very smooth with hints of orange peel and dried apricots. It’s a light kettle sour if I have to describe this. They did a good job with this one, it’s a kettle sour that could actually be a “gateway” to the sours. It’s not overwhelming with tartness, dryness, and sour that one would expect. It’s light and refreshing. They really should do this in the Spring and Summer seasons. So if they still have this in the retail store, I would suggest picking one of these bottles up for those who enjoys kettle sours or looking to try sours without the extremeness. Crabby Abby AleKettle SourPeterboroughPeterborough OntarioSmithavens Brewing Co. Previous Post ALL BEER, NO BEARD. Peterborough’s newest craft brewery set to open!